Near the end of the 19th century, the Japanese occupation of Taiwan is resisted by a group of Chinese patriots known as the Black Flag Troop. Despite their best efforts, the warriors are massacred and only their leader, Wang Wu, is left alive. After several years in seclusion, Wang is inspired to continue the fight to reform China, and he establishes his own martial arts school before going head-to-head with corrupt local officials whose machinations have compromised the country. Beloved martial arts star Sammo Hung directs, choreographs and plays a supporting role in this look at the heroics of real-life Qing Dynasty master "Big Blade" Wang Wu. 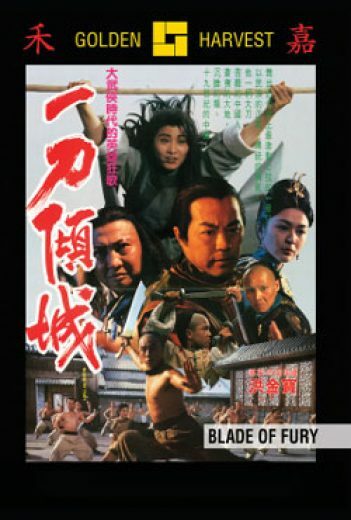 The Kung Fu and swordplay are high-flying and furiously energetic, and are performed by a capable cast of genre veterans led by distinguished Shaw Brothers leading man Ti Lung and Taiwanese martial arts stars Cynthia Khan and Collin Chou (The Matrix Reloaded, The Matrix Revolutions).